It’s high time to revolutionize the way we do eCommerce. TemplateMonster has made an attempt to bring changes to the way we design and develop web stores on the basis of OpenCart themes. One of their most recent brainchildren – StoreFlex – is a versatile solution that can be adjusted to match any personal or business project possible. This is a revolutionary pre-made design that can make the process of web development much speedier and effortless. 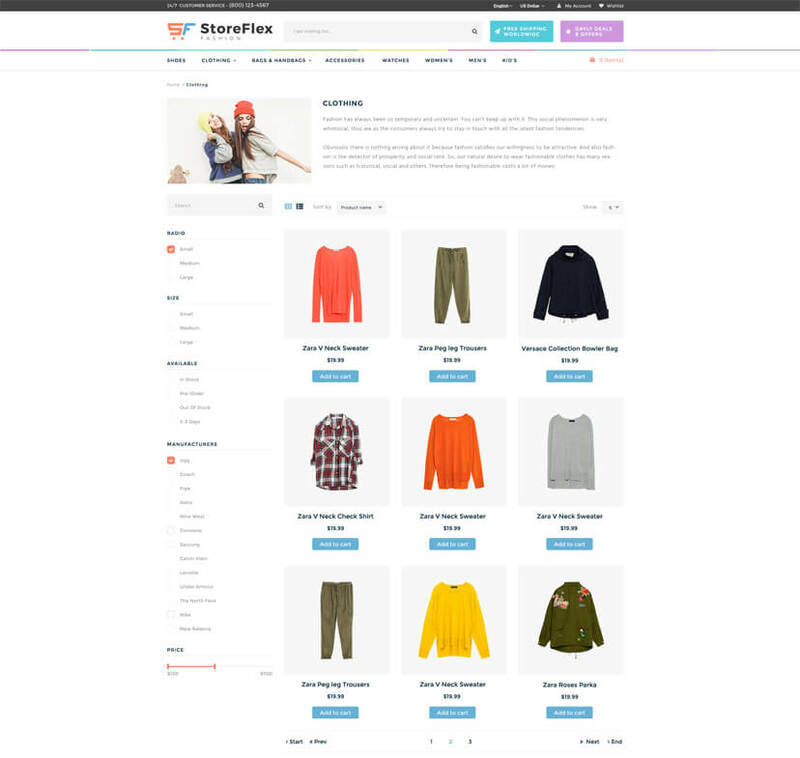 StoreFlex is not just a common niche-specific template, which is suited for selling one type of products only. This is a versatile solution that can be adjusted to literally any business of yours. Flexible and dynamic, it is fully responsive and cross-browser compatible. The template is compatible with the latest OpenCart versions. Built with SASS, it boasts valid, semantic code as well as proper SEO optimization. Enhanced with detailed documentation and free 24/7 support, it makes the process of adjustment of the layout, design elements, and functionality hassle-free. If you take a look at the theme’s design, you will notice that it is built in neutral, minimalist flat style. Appropriate for a variety of online projects, it brings the store’s products to the foreground, keeping the users focused on a seamless browsing experience. 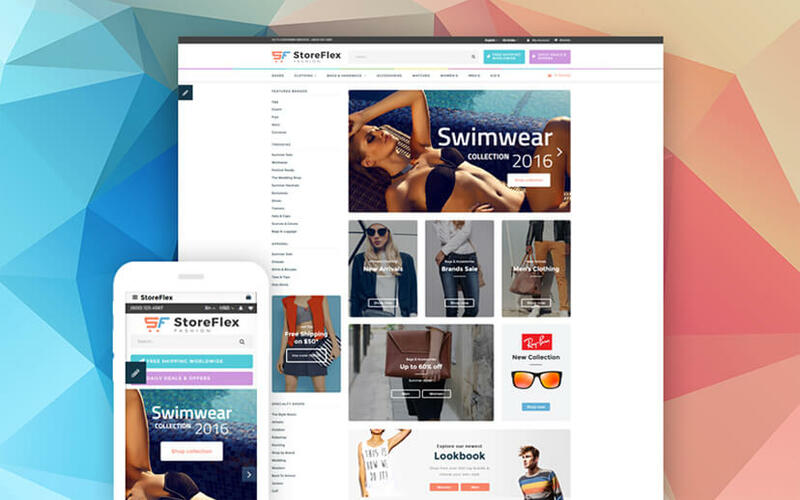 StoreFlex is a universal solution that is suited for 10 different topics. These include bags, baby clothing, kids, lingerie, caps & hats, men’s corporate fashion, jewelry, sunglasses, and other business niches. The template includes clipart for 20 product types, which can go live out-of-the-box. 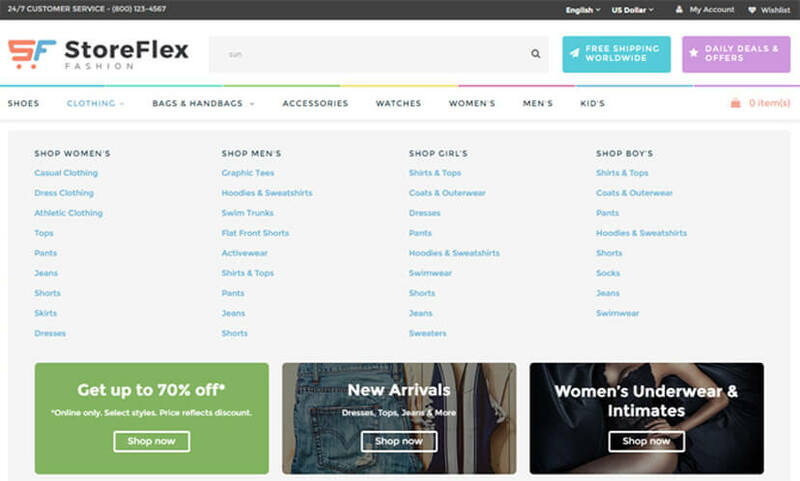 StoreFlex gives you the freedom to change website sections to your own taste by means of an easy-to-use drag-and-drop tool. With its help, you can build versatile pages for your online project without touching a single line of code. The feature will be of use not only for beginner web masters, but also experienced web developers seeking for the ways to speed up their workflow. Another handy feature is a selection of pre-designed color schemes that you can choose from. If you want to make your own versatile color palette, the color picker tool will help you come up with a perfect option that matches your brand identity to the fullest. 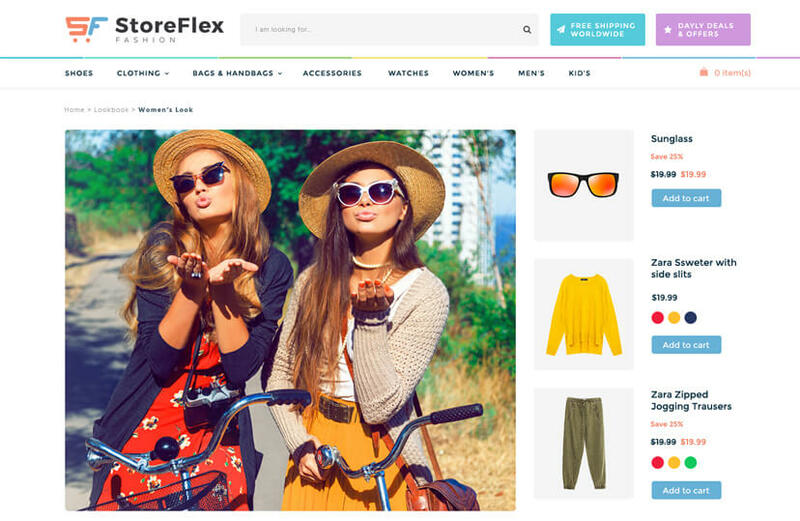 If you are sick and tired of basic eCommerce modules and want to try something new, then StoreFlex OpenCart template is ready to impress you with new ideas. The theme’s package includes every minor detail needed to get started with an online store. These include carousel sliders, product categories, promo banners, bestsellers, slideshows, featured & latest products, specials, etc. The functionality is intended to facilitate the users’ search of the necessary products on your website by selecting their brand name, color, prize, and other filters. The theme’s main navigation panel is presented by means of a fully editable MegaMenu. With its help, you can organize both written and visual content into columns and rows. Banners, buttons, and animated images are supported as well. Ajax-based live search is also included. Thus, people are introduced to a set of related search results as they type in a search request. The theme’s front page welcomes every visitor with a customizable Swiper Slider that is integrated into the theme’s header. It supports both images & videos and can be animated in literally any way possible. This is another unique feature providing for a more effective showcase of your store’s items. With its help, you can create several categories of products on your site’s front page and provide the users with an opportunity to select a category that matches their interest the most. 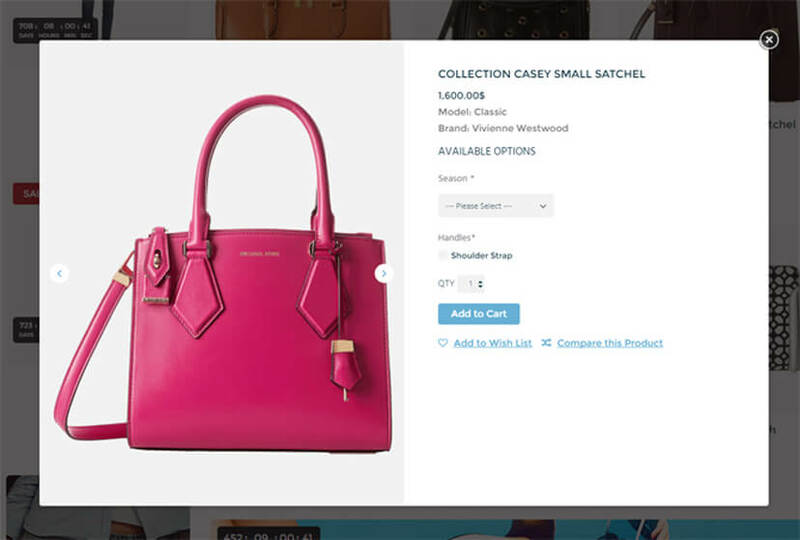 You can highlight new and discounted items in your web store’s gallery by means of respective product badges on the homepage and catalog pages of the site. This is another smart tool intended to enhance the users’ online shopping experience. With its help, people can take a look at specs, reviews, and images of a chosen item without the need to navigate to a product page. 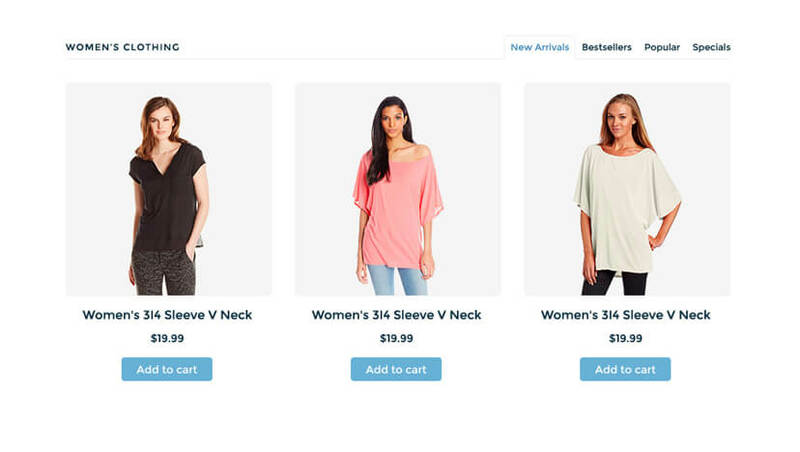 There is an option to add the preferred item to cart, which is intended to bring higher conversion rates. This is an all-new feature that TemplateMonster enhanced StoreFlex with. Its primary goal is showcasing the store’s items in a more remarkable manner by means of hotspots on images, which are “activated” on the mouse-over. A person can also click any hotspot to see more details about a chosen item. If you need to build a multi-products web store, then you can make use of infinite scroll functionality. Mobile and tablet users will appreciate it to the fullest, since it loads “more items” as a user scrolls down the list. If even a certain item is out-of-stock, people can still access it on the products catalog page. By reaching product pages, online shoppers can investigate the chosen items in the smallest details by means of Cloud Zoom feature. Sometimes we need to hide some content from specific groups of users. This is when the possibility to create clients categories will come in handy. It’s up to a site owner to decide by what criteria to organize Group A, B or C.
Based on these categories of registered users, site owners can also restrict access to certain pages for those customers who are not registered on the web page. To help site owners stay always aware of the things happening on the site, StoreFlex includes SMS notifications feature. With its help, a site owner will receive notifications to their phones on a successful account creation, order placement, change of order status, etc. In addition to a functional web store, the theme also features a fully-featured blog that will keep the users updated on the latest industry news. A newsletter popup form is available as well. Promo banners and gift certificates, as well as deal of the day option with a countdown functionality are intended to keep the audience always alerted on the web store’s hottest deals. Just like the rest of TemplateMonster’s OpenCart themes, StoreFlex includes layered PSD files and extra page templates. Go ahead and enjoy all of its benefits on your own.